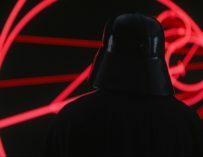 The last time we saw Darth Vader on-screen he was slicing and dicing Resistance soldiers in Rogue One’s final, and incredible, scene. His brief cameo was so impactful that people starting asking themselves whether Lucasfilm would ever go ahead with a Darth Vader spinoff movie. Now, this isn’t happening yet (although we aren’t giving up hope), but he could be turning up in another one of the Star Wars anthology movies, specifically Ron Howard’s Han Solo spinoff film. According to That Hashtag Show, everybody’s favourite Sith Lord (Darth Vader just in case you weren’t quite sure which one was your favourite), will be appearing in the Han Solo spinoff movie. 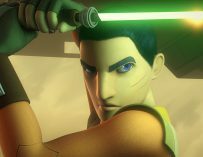 They have reported this rumour before, stating that actor Spencer Wilding had to cancel an appearance at a convention because he was currently filming a role in “the newest film in the Star Wars universe.” At the time it was unsure as to whether this was in relation to Star Wars: The Last Jedi or the Han Solo movie, however the outlet has now confirmed that it was for the latter. 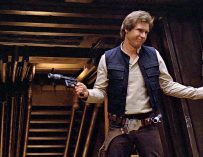 “A source close to the production has revealed to us that someone—presumably not Wilding, given his pretty definitive statement that he isn’t involved—was on the set of Howard’s Han Solo reshoots in Darth Vader’s armor as recently as two weeks ago,” they wrote. This is of course all hearsay, and it could turn out to be total nonsense. 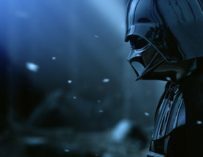 A Darth Vader cameo in the Han Solo movie would be cool, but logically wouldn’t make much sense because the two characters meet each other for the first time supposedly in The Empire Strikes Back. However, we’ll just have to wait and see whether we’ll be getting to see Darth Vader thrilling audiences on-screen once again.